I just checked in with the Baseball Hall of Fame. I published a blog post back in 2010 about the famous postcards showing member plaques.Who doesn’t own at least one autographed? Each year, eBay dealers and other schemers try to sell the unsigned postcards at huge profits. Collectors see the minimum postage and handling costs in the Hall of Fame catalog or online, worrying that only a few cards would be costly. Postcards are different. Buy direct! I was told by the HOF that the same 2010 prices apply today. Just 50 cents per postcard, and $2 shipping and handling for up to 20 postcards. Check out the prior post for more details, including the Hall of Fame gift shop phone number. You can place credit card orders or FAX in bigger requests. The OTHER Frank Thomas is trying. Yea for speaking out against steroids in his Cooperstown induction speech. What I’m still puzzling over is a career of abbreviated autographs. If he was catcher Cliff “C.J.” Johnson, it might not matter as much. Fans were sure this Frank Thomas could be a future Hall of Famer. I remember an elderly collector telling me in the early 1990s about paying big bucks and standing in line at a hobby show for an “F– T –” autograph. He asked if that was his REAL autograph. Thomas threw in a silent grin for free. I loved the New York Times article earlier this year by Tyler Kepner about illegible autographs. I hope more people keep the conversation alive this year. dad would be 100 years old! Roland Hemond should write the Hall of Fame plaques. I asked him about his one-time boss, Chicago White Sox team owner Bill Veeck. I’m moved by his tribute that he was so kind to share with a fan. 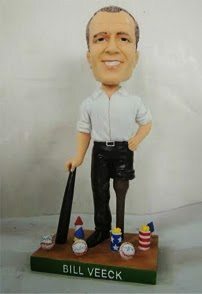 “Bill Veeck was the most incredible person I have met,” he wrote. “Bill suffered war-time injuries that led him to 36 operations over his lifetime. Yet, he never complained. But I’m sure he was in pain on a day-to-day basis. “He was highly intelligent, creative, extremely well read, a visionary, daring, creative, loved people of all races, and awaked the others that baseball is a great game. But, on-field promotions could enhance the popularity of the game with joy for people of all ages and draw them to the parks and to return whenever possible. Nor I for you, Mr. Hemond! Who’ll Be Next Non-Player in Baseball Hall of Fame? A Scout, Perhaps? 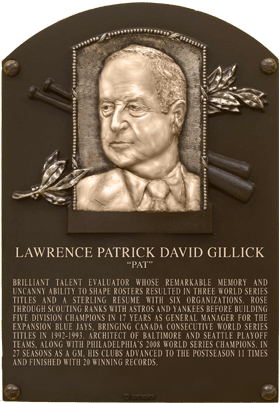 Pat Gillick gave me hope for the future regarding the Baseball Hall of Fame. Would more front office wizards be honored? I think Atlanta’s John Schuerholz will have a spot in Cooperstown, someday. Someday may not come too soon. I asked Roland Hemond in a letter his feelings. After winning the Buck O’Neil Lifetime Achievement Award, I hoped the distinguished GM might see a different HOF future. One that might even welcome scouts? “This coming May 3-5, the National Baseball Hall of Fame will open an exhibit, “Diamond Dreams,” which will include scout reports from scouts that they submitted to their respective organizations. This exhibit will have a section of “who signed who” from way back. Meanwhile, enjoy one of the best bios of Hemond I’ve ever found, crafted by noted baseball historian Bill Nowlin. 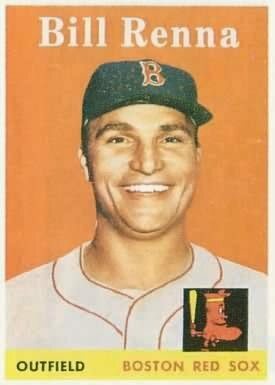 Bill Renna died in June at age 89. Here’s a look back at his kind, grateful letter from 2010.